hummingbird huddle | fight for flight! new logo – new us! can’t wait for all the new cool things we are about to do! Please be patient with us as we catch up our site to reflect all these exciting developments! Finally what you’ve all been waiting for!! 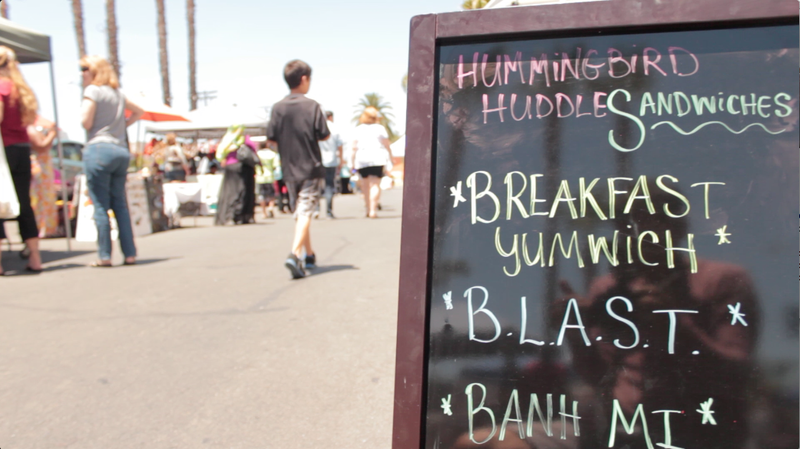 Hummingbird Huddle is now selling vegan tummy treats at the North Park Farmers Market. We’re so excited to be selling our brand of plant based, local, and organic sandwiches at this lovely market. Feel free to stop and grab a sammie any and every Thursday from 3-7pm. We’ll of course be selling Donut Panic vegan donuts to help wash those Banh mi’s down. Thank you everyone for the support and interest. We’ll have plenty more updates soon as things are moving rather rapidly. July Films for Flight was held at Wow Wow Waffle in North Park, San Diego. 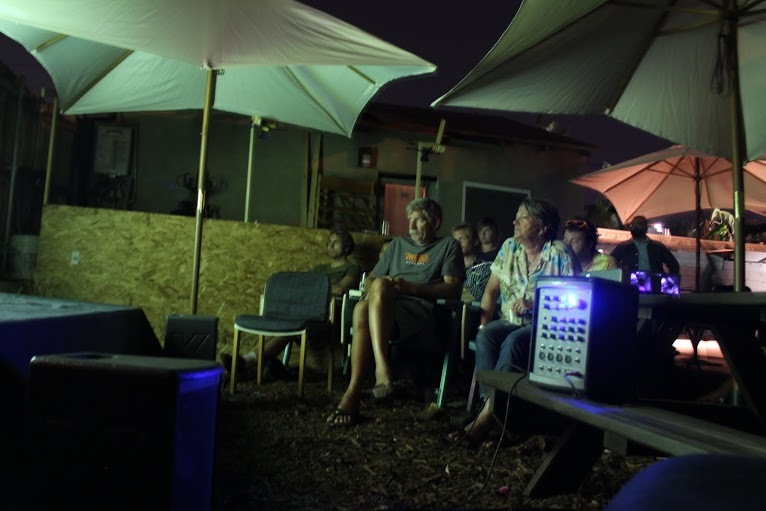 Their beautiful patio is the perfect space for an outdoor movie night. 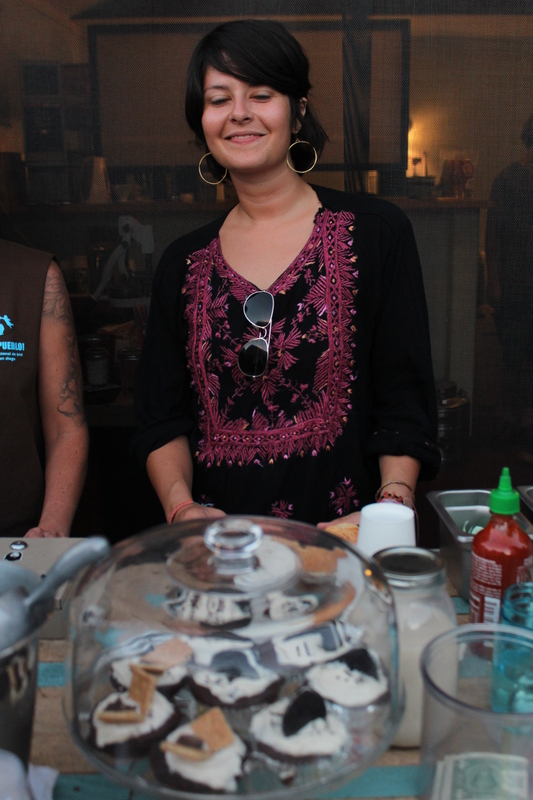 The evening started off with banh mis and vegan cupcakes, catered by Hummingbird Huddle. 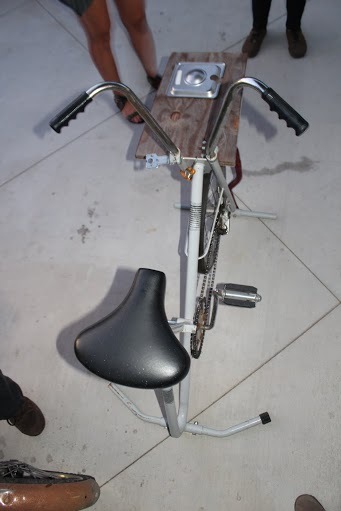 All profits went directly to Bikes del Pueblo‘s indiegogo campaign. 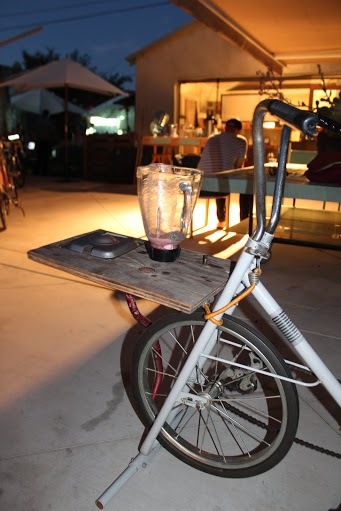 BDP brought their bicycle blender, too! 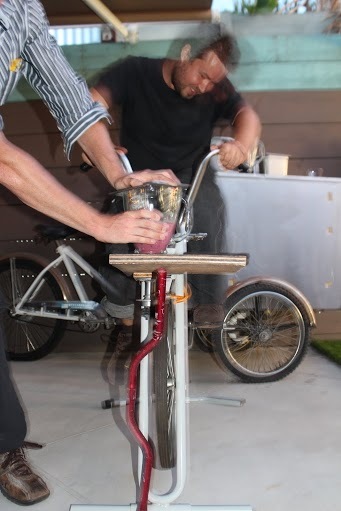 Everyone got a chance to use their pedal power to blend up a refreshing fresh fruit smoothie. 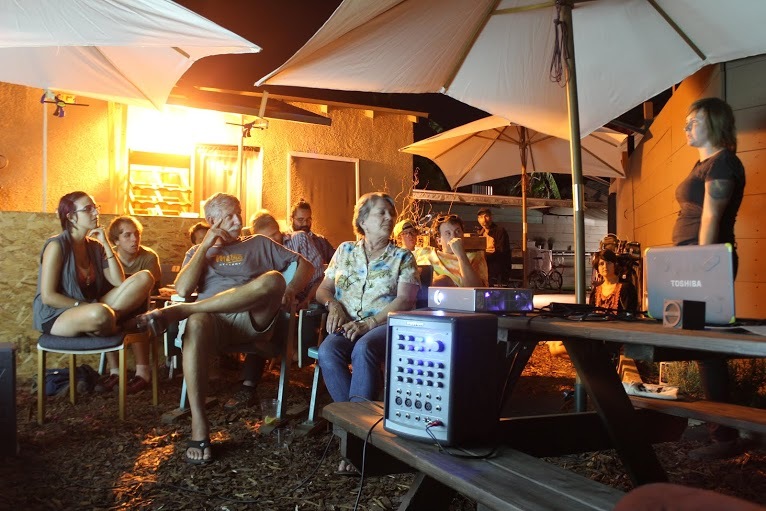 The movie kicked off with a special preview – a screening of BDP’s indigogo video, shot by Evan Apodaca. 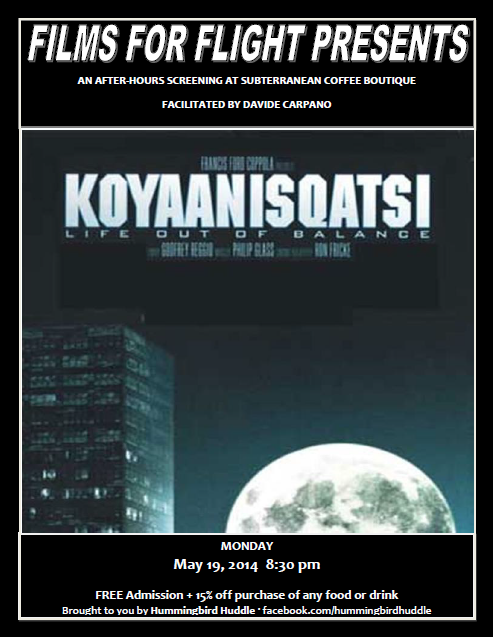 The group introduced their mission and explained how it was connected to the feature film: With My Own Two Wheels. With My Own Two Wheels is a short documentary that follows the stories of five people who’s lives were changed by a simple bicycle. From the Guatemalan farmer who invented the Bicimáquina to the disabled Ghanian woman who found empowerment through developing her skill as a bike mechanic, every story is feel-good inspirational. The movie eloquently captured how a single bicycle could be adaptable to any person’s needs across cultures and circumstances. We are proud to announce that we are partnering with our friends at Bikes Del Pueblo who are currently raising money to open a permanent space. Check out their super adorable video on indiegogo. ALSO BREAKING NEWS: We are planning to partner up and share space together. 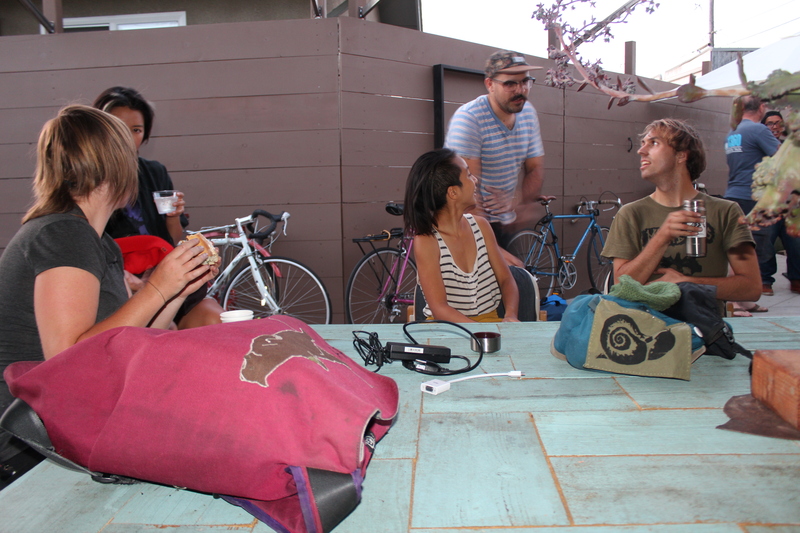 Community Cafe + Community Bike Kitchen. Are you super excited yet or what? Because WE ARE. We are helping BDP out with throwing a series of events promoting their fundraising campaign. Their kick-off throwdown was on July 11 but don’t worry – it’s not too late to join in on the fun times! 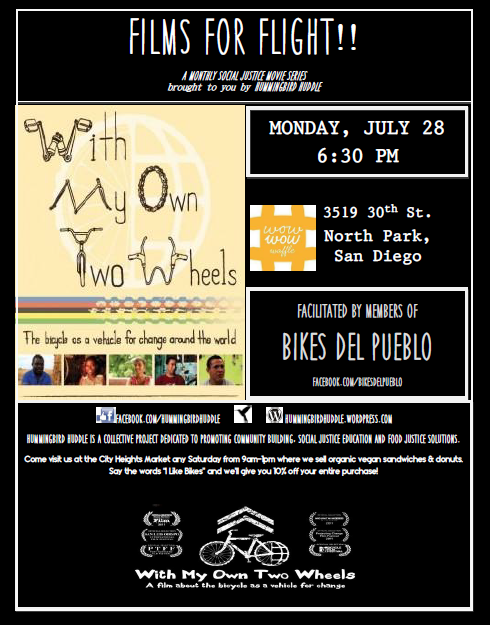 Our next FILMS FOR FLIGHT will be a very special movie night facilitated by members of Bikes Del Pueblo. You can find us on Monday July 28 at Wow Wow Waffle! In addition, we are running a promotion until September 9 (the last day of the indiegogo campaign). Come by our stand at City Heights and tell us “I LIKE BIKES”. 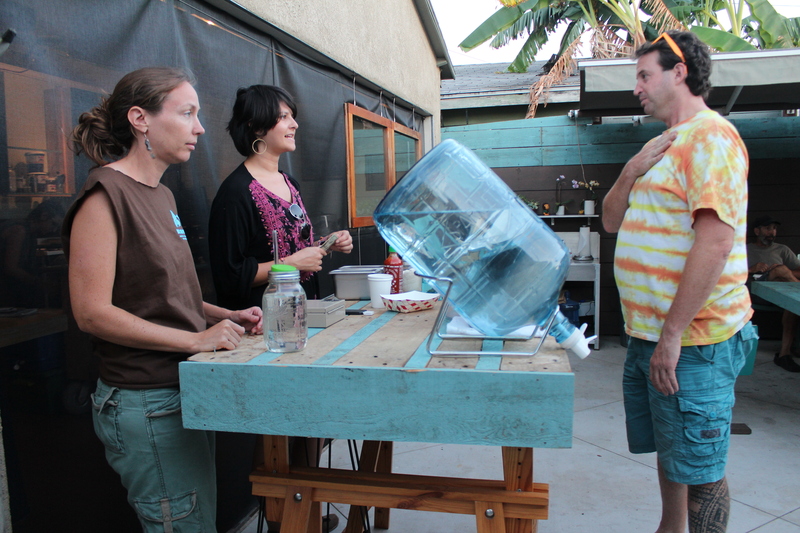 We will take 10% off your purchase and donate an addition to BDP! Make sure to join us for the alleycat we are helping organize, too. This bike race/scavenger hunt is all-inclusive and open to all ages. We will be serving sandwiches at the afterparty, too. More details coming soon! Hummingbird Huddle now at City Heights Farmer’s Market! Hot dang, a whole lot has been going on since our last post! After a lot of hard work and bureaucratic paperwork, Hummingbird Huddle has opened its first farmer’s market stand at the City Heights Farmer’s Market! 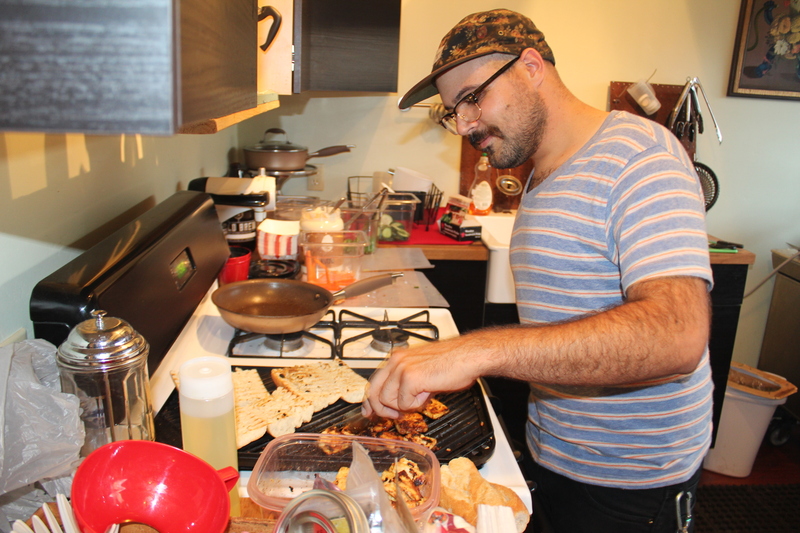 Nick and I are there every Saturday from 9AM-1PM cooking up some delicious vegan sandwiches: Banh Mis, B.L.T.s and Breakfast Yumwich! Thank you so much to Linda Dami of Donut Panic for her help and collaboration. We couldn’t have done it without her. You can find her delicious vegan donuts at our stand, too!